- nominate 11 bloggers with under 200 followers to answer the questions. 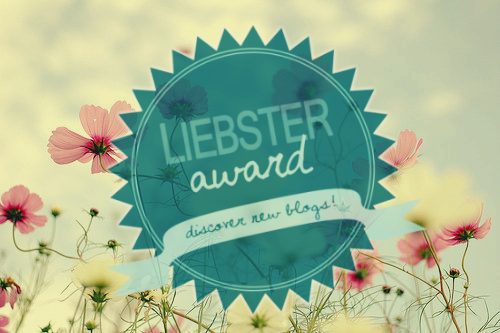 remember to let the bloggers know that you've nominated them! I started blogging because I've been reading blogs for years and adore writing and beauty etc so decided why not give it a try as it is something I've wanted to do for quite some time. Lasagne, when it comes to that stuff I'm like a human Garfield. 3. What's the most embarrassing thing that's ever happened to you? 4. Would you rather have eyebrows that never stopped growing or armpits that never stopped sweating? 5. What's your favourite song at the minute? 7. Where is your favourite place to shop (fashion/beauty/food/ANYTHING)? 8. What is something you're proud of? 10. What is your favourite memory? 11. What is something you fear? 1. What clothing item do you have that is completely knackered and should've been thrown out years ago? A green t-shirt that I use as a pajama top, legit falling apart but its super comfy!! 2. What books have you been reading this summer? Let it Snow - John Green, Maureen Johnson & Lauren Myracle. Looking For Alaska (favourite book, forever re-reading) - John Green. 3. Are you tidy or messy? 4. What is the best meal you've ever had in your life and where did you eat it? If I go to a restaurant and they serve Lasagne, there and then. 5. What is your signature lip colour? Purple, absolutely adore it any always get compliments when I wear it. 6. Where do you buy most of your clothes from? 7. High-end makeup or budget makeup? A mix of both for different products as sometimes I find I can't get a good high end product and will find a brilliant one in budget makeup and the other way round. 9. What is your go-to nail colour? 10. What fashion trend do you think needs to die? 11. Whats your favourite skincare/makeup line? Skin care at the moment Garnier and Botanics and Make up mix between Benefit, Urban Decay, Rimmel & Maybelline. 1. Favourite beauty product to use at the moment? 3. Have you any siblings? 4. Favourite skin care products? 5. Have you done anything exciting in the past week? 7. Favourite types of blogs to read? 8. Bought any products that you didnt enjoy? 9. What colour eyeshadows do you like to wear? 11. Favourite nail polish brand? Thank you for reading and remember to send me your links so I can read your answers!